This hemp/organic cotton jersey is a lovely, lightweight knit similar to the linen knits that we carry in texture, but more substantial. It has a rustic texture with some characteristic irregularities in the weave, and is soft and drapey yet nearly opaque with a matte finish. It has about 30% stretch in the width only. 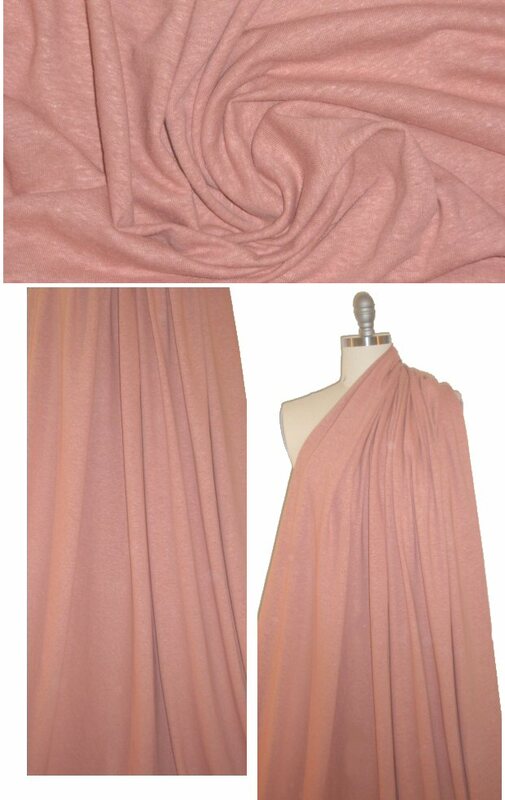 Perfect for tees, tops and tunics, loungewear, baby and kids clothing, yogawear, and the color is a light terra cotta (PANTONE 16-1431). Eco-friendly, organic fibers, non-toxic dyes. Cut in single layer layout. Hand wash, cold water, and hang or lay flat to dry. No bleach. WASHING AND CUTTING TIPS: Pre-wash and dry (machine wash and dry on a regular cycle was used in testing and worked well--don't sew together edges or do any other prep, just throw it in). Press the fabric with plenty of steam to get any wrinkles out, and let rest. When you are ready to cut, lay out the fabric in a single layer and look for the cross grain to follow. Don't make any attempt to join selvages or cut edges--this type of knit will not match up. Make that cross grain your guide no matter how "off" it seems to be in relation to the selvages. Let the fabric do what it wants to do; don't force it. Once the fabric is smoothed out carefully on the cutting table, take lots of care to lay out your pattern, in a single layer layout, so that the grain is straight. If the fabric is cut off grain it won't hang right. Applying lots of steam to this fabric makes it behave very well. 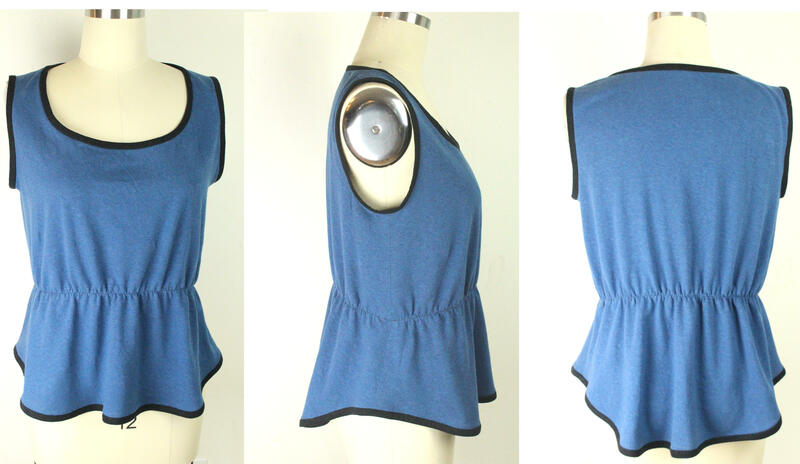 Since this fabric has no spandex it will not spring back into shape, so it works really well for breezy tops rather than body-hugging ones.